Thanks to the internet and to many other free resources out there, today you can learn how to play piano without breaking the bank. The piano is one of the most beautiful instruments and is also one of the instruments that most people quit playing. Either they think it's too hard, they get confused, or they just don't want to commit the time to learning this wonderful instrument. If you want to learn how to play piano bad enough you can. There are so many resources available to you and all you need to do is to find them. If you type 'Piano Lessons' into google you will probably come up with thousands of resources which are 100% dedicated to teaching you how to play piano . I know that you are on the right track, and I know that because you are reading this which means you are researching how to play the piano already. That is a great start, and the best advice is to one: Don't get overwhelmed! and two: Remain Focused! With all these resources it will be easy to float from one to the other never really taking in any information. Once you find a good resource, USE IT! Use it until you've learned everything you can, and you can no longer learn a single thing from it, because after all, that's what it's there for! 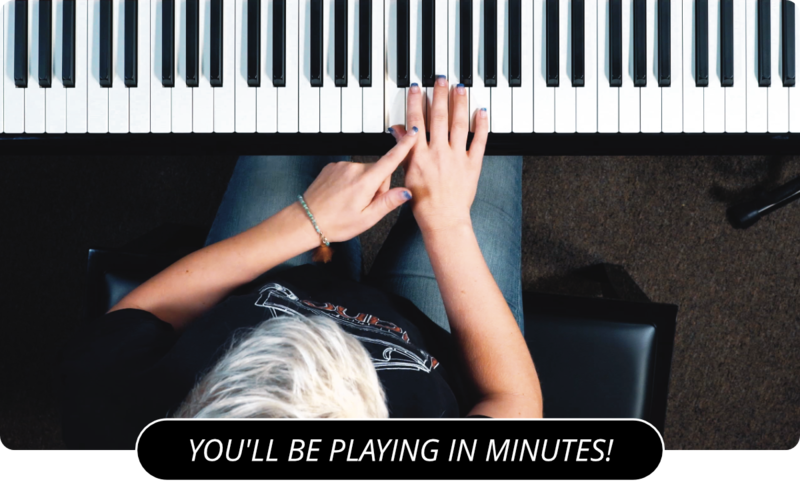 Whether they are written lessons, video lessons, or audio lessons, there are endless options which will appeal to your different styles of learning how to play piano. If you know that you are a visual learner, then DVD lessons are probably the way to go. The amount of DVD lessons out there is incredible. Choose wisely, go for quality lessons that you think will keep you excited to learn the piano. Learn more about online piano lessons by visiting the main page of PianoLessons.com , or by browsing through our other piano lesson articles on this web site.